The Premier League will have five teams in the Champions League next season. After Manchester united secured the victory in the Europa league. 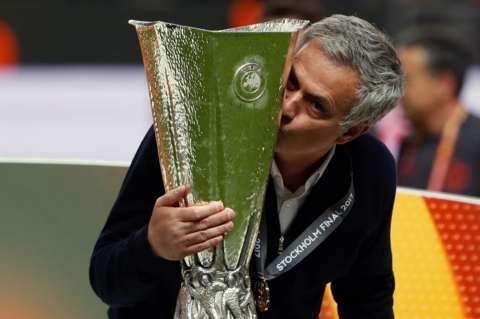 Europa league winners get automatic champions league qualification and since they lost out on a top four finish, this was a must win game for Mourinho’s men. On the big occasions, in the big games Mourinho is fantastic, his tactics are brilliant and he sets them up brilliantly for this sort of game. United deserve this. They have done the city proud. Ajax will be back, they showed plenty of spirit but in the end, they just didn’t have enough composure on the ball to break United down. However, if this group of players stay together, you can see this team being successful. Perhaps on this occasion, they fell a little short, but with a marginal improvement, this team can do special things. United, on the other hand, must improve their squad in the summer with some big game players they have the manager that can take them all the way. Today’s game was dedicated to the city of Manchester, after the horrible attacks of the past few days, the city has something to cheer about.